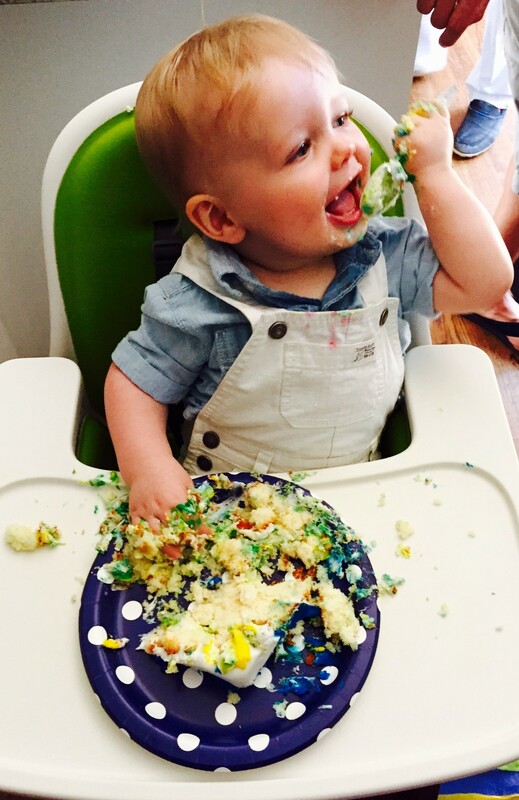 Let Him Eat Cake | Life Is Fine! Fine As Wine! Henry turned one last month, and an even stranger thing happened. We celebrated in the customary way, presenting him with an enormous piece of birthday cake amidst singing, applause, and candles. When it was all over, this is what remained. So the strangeness was that I couldn’t bring myself to throw out that plate. All day I kept it on the kitchen counter, lingering each time I walked by, taking in this messy, sugary still life. 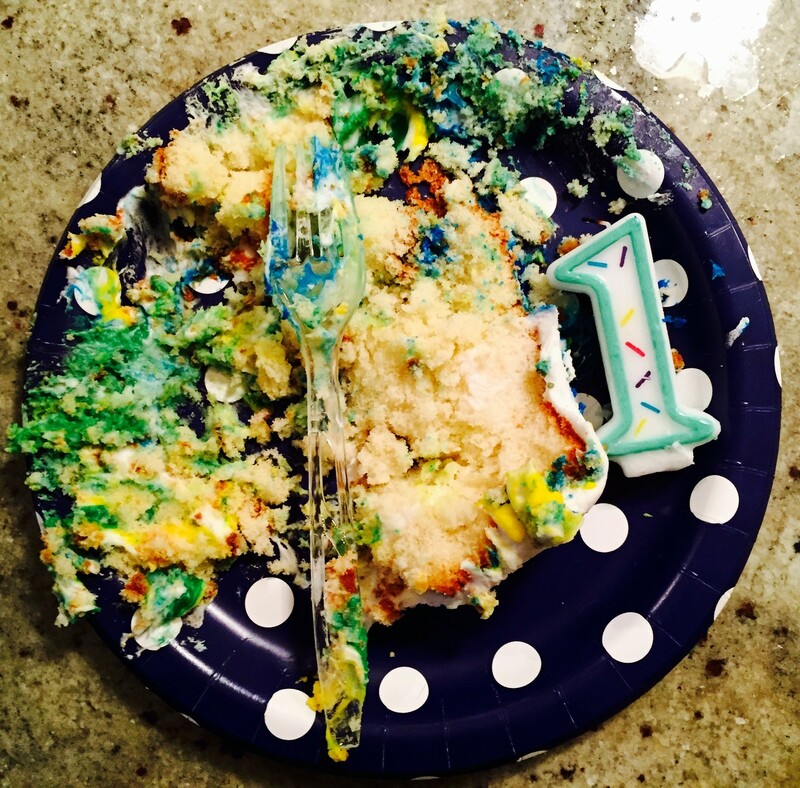 Part of my incredulity, of course, was down to the fact that here was my son’s first birthday cake — insert all the obligatory sentiments that a parent has about the passage of time. I stared at that plate in wonder because he dove right in to this new thing that was put in front of him. Quite literally, he embraced that cake, in all its frosted glory, because he knew inherently that it was something special. My son recognized one of the good moments in life and did not allow it to pass him by. He completely nailed it, even when he wasn’t quite sure what “it” was. Without a doubt, I am learning much more from this boy than any knowledge that he may be gleaning from me. Here again, with this sad piece of destroyed confection smeared across a blue Chinet plate, he reminded me to savor the sweet things.